Jack Dougherty is an Associate Professor of Educational Studies at Trinity College in Hartford, Connecticut. 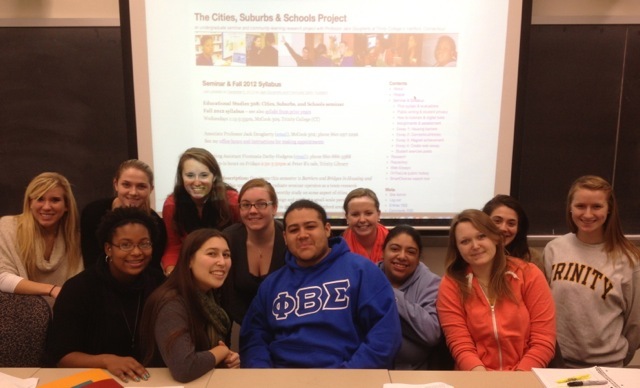 He began teaching Educ 308: Cities Suburbs and Schools as a community-learning research seminar, where a group of undergraduate students collaborate with local organizations to answer qualitative, quantitative, and historical questions about education and housing. Diane Zannoni is a Professor of Economics at Trinity College in Hartford, Connecticut. She has supervised several quantitative research projects that began with students in her project-based Econ 318: Econometrics class, and continued as independent studies or summer research assistantships. Robert Cotto Jr. is the Director of Urban Educational Initiatives and Lecturer in the Educational Studies Program at Trinity College. 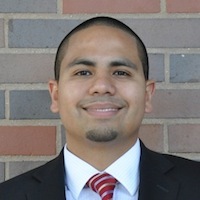 Previously, he served as a policy analyst at Connecticut Voices for Children, where he co-authored a report, Choice Watch: Diversity and Access in Connecticut’s School Choice Programs. Robert also taught secondary-level social studies for six years at the Metropolitan Learning Center interdistrict magnet school in Bloomfield CT, earned master’s degrees from Harvard Graduate School of Education and Trinity’s American Studies Program, and also serves as an elected member on the Hartford Board of Education. Mira Debs is conducting field research at two Montessori magnet schools in Hartford while writing her dissertation for her Ph.D. degree in the Sociology Department at Yale University. In Spring 2014 she gave a guest lecture at Trinity on “Parent Choice and Involvement on the Ground,” based on preliminary findings from her 18-month qualitative study and interviews with city and suburban parents. 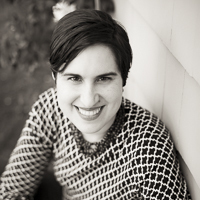 In addition to her undergraduate degree from the University of Chicago and a Rhodes Scholarship at Oxford, Mira taught high school history for five years at a district school and a charter school in the Boston area, and is a founding member of the first public Montessori school in New Haven, Elm City Montessori, which opened in September 2014.